I’m back with my report for the next segment of my Pacific Crest Trail hike. When I last left off, I was in Big Bear, in the mountains of San Bernardino County. I made a major change in my equipment there. I found the Deuter pack was just not that comfortable. After endless tweaking and fiddling, I was just not able to come up with a combination of adjustments that worked for me. So, I switched to my trusty Osprey Ariel 65, a veteran of many previous trips. Right away, I was able to shoulder a bigger load and remain comfortable all day. 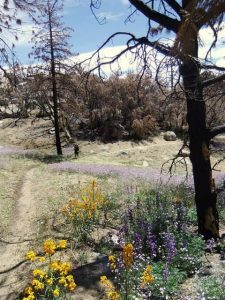 Upon leaving Big Bear, the trail wound through a burn area before heading into an area called Deep Creek Canyon. This canyon winds on for miles but the highlight is a series of hot springs pools that make a great spot for a tired hiker to take a soak! 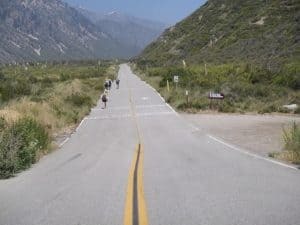 The next day, I headed north towards Silverwood Lake. Along the way, I crossed California State Route 173. There I was treated to a little trail magic in the form of fresh Root Beer Floats! 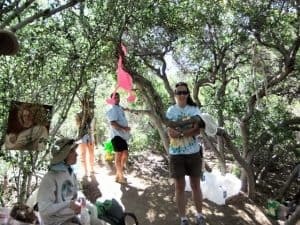 Marlene, an aspiring PCT thru hiker, was parked along the road where the trail crossed in her van and was dishing out the goodies to hikers as they passed by. Several of us took advantage of this act of kindness and took a break from the day to enjoy the treat! 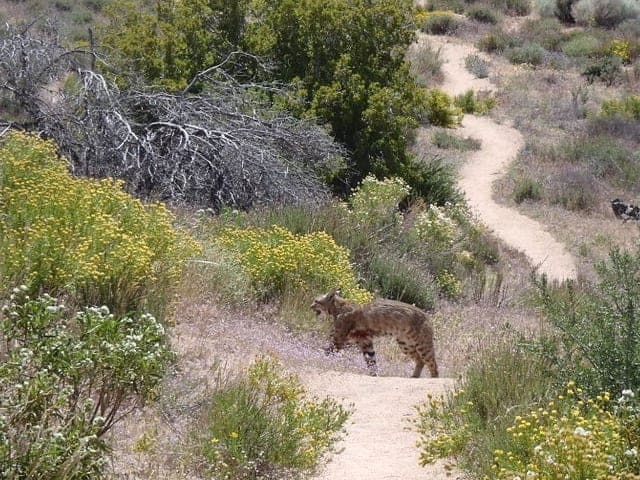 A bit further up the trail I was in for another treat — a bobcat right in the middle of the trail! Later that day, I arrived at Silverwood Lake and was given a ride to a closed campground by the local ranger. He told me it was okay for PCT thru-hikers to stay here anytime! What he did not tell me was that the sprinkler system was on a timer and that at 10pm, it would come on and soak me, my tent and my gear! All I could do was laugh when I was awaken to that familiar sound of the sprinkers wetting me down. After drying out a bit the next morning, I again hit the trail north and climbed Cajon Pass along the I-15. North of there, I encountered my first official detour of the trip. Last year, a large wildfire called the “Sheep Fire” burned a section of the trail here. So, I was detoured 15+ miles around the area so that the vegetation can grow and the ground stabilize. This included a lengthy “road walk.” All in all, it was not too bad but no fun nonetheless. By the way, today I celebrated my 49th birthday as well! 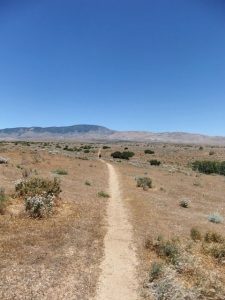 After taking a zero day in the mountain town of Wrightwood, I continued north and found myself walking right into the next detour of the trip. 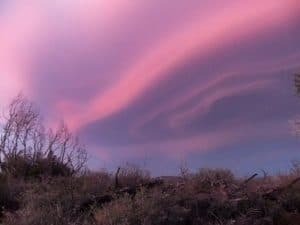 Last year’s “Station Fire” burned 160,577 acres and was the largest fire in the history of the Angeles National Forest. 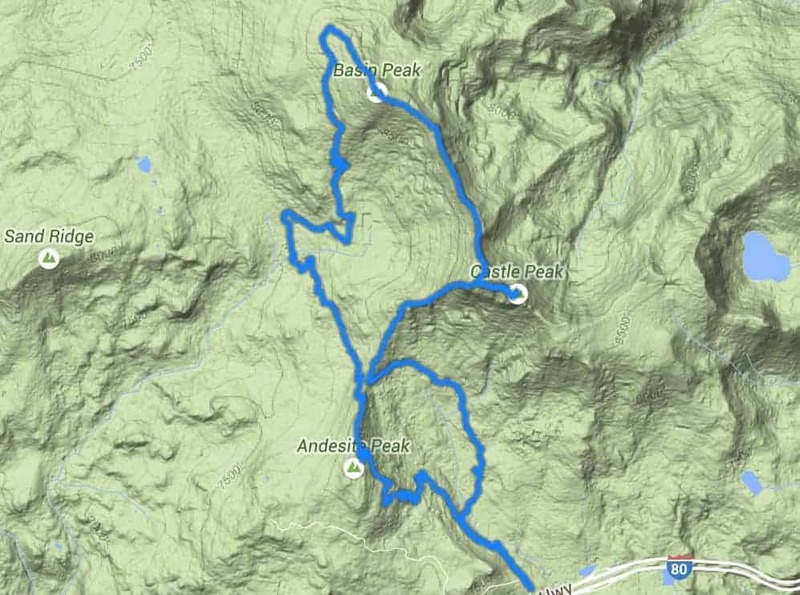 Unfortunately, the PCT ran right through the middle of it. So, I was detoured east of the crest for a total distance of 47 miles. The route included miles and miles of road walking, the bane of many a hiker. 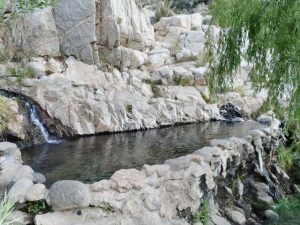 I finally rejoined the trail just south of Agua Dulce and the home to one of the highlights of the trail, Hiker Heaven! Jeff and Donna Saufley have been hosting hikers at their home in Agua Dulce for 14 years now. 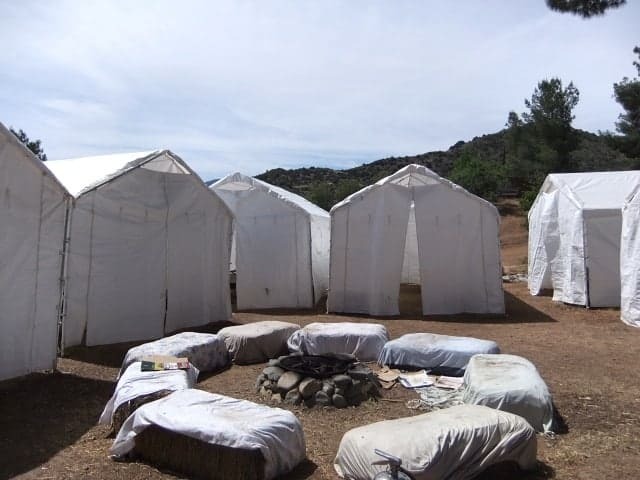 Their property includes a two bedroom trailer and six 20’x10″ tents, and they can accommodate up to 50 hikers per night. They provide mail services, transportation, communication relays, etc. Just about every thru hiker on the PCT stops by for at least one night. 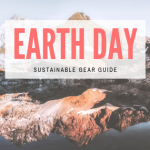 Everyone shares in the cooking, entertainment, gear repair, etc. It is truly a magical place. I took advantage of several of their offerings. First, I enjoyed a wonderful stay with lots of exciting people. And, I took advantage of their storage and transportation services and caught a ride to the Burbank Airport and flew home for the weekend! It was great to have a couple of days off the trail and to visit my Honey! On Wednesday, June 2nd, I flew back to SoCal and caught a train back out to the Saufleys’. 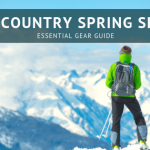 I gathered my gear and hit the trail north. 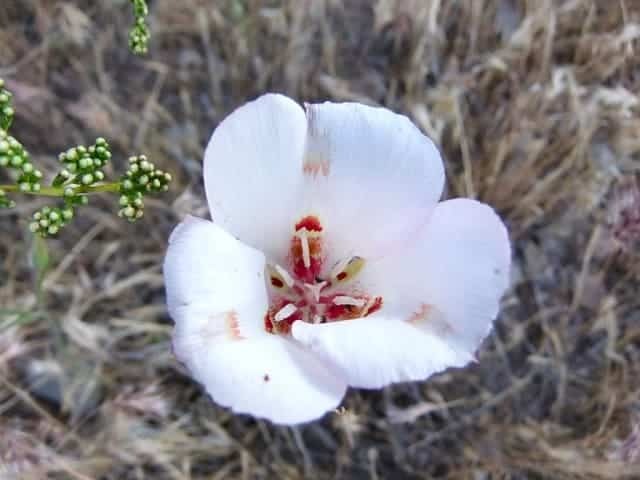 Summer was getting close in the high desert of southern California. The temps were starting to climb and now in the mid 80s during the day. Still not too bad, but I knew the Mojave was ahead. 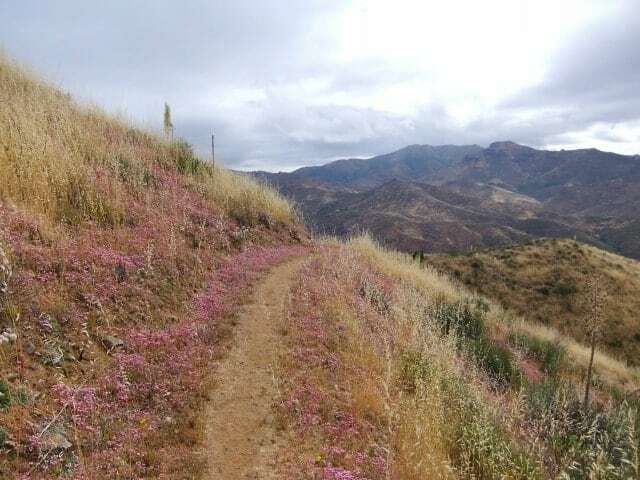 The trail was good though, and I was still excited to find lots of wildflowers along the trail. 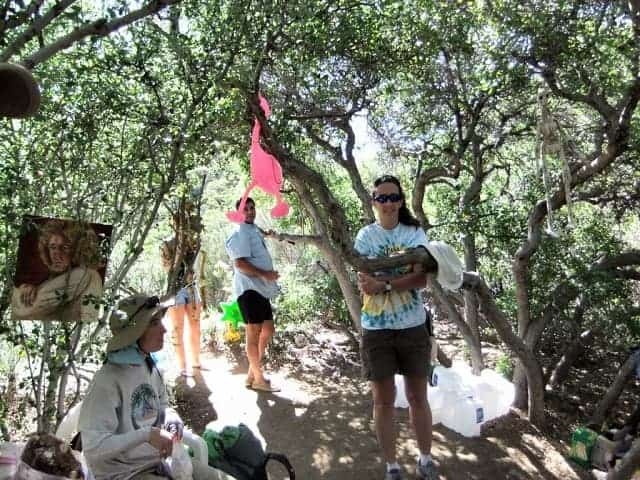 Adorned with a mix of eclectic figures, weird art pieces, pink flamingos, skeletons, etc, the Oasis Cache always provides a bit of entertainment for the weary hiker — as well as some fresh water! After an obligatory stop at Casa de Luna, I continued north a bit father on the trail before settling in for the evening. Over the next several days, I entered the famed Mojave Desert. 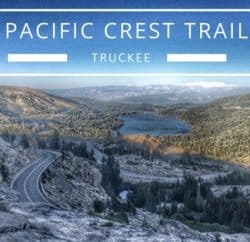 The PCT crosses here on its way to the southern Sierra. You walk for miles along the California Aqueduct. Not much in the way of shade out here and many hikers choose to do this section at night to avoid the heat of the day. However, mother nature cooperated and the temps were really not that bad. Although stark, the desert really is beautiful. I was surprised at the flora and fauna I encountered along the way. 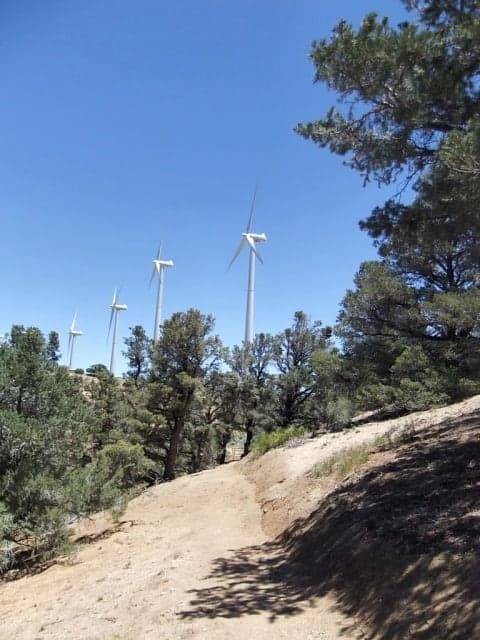 After getting through the worst, you again start to climb into the Tehachapi Mountains, famed for its winds. There are literally thousands of power generating wind turbines here. Every hill, valley and ridge is covered with them. You walk amongst them for days. I stopped and caught a ride into the town of Tehachapi where I had a resupply box waiting. It’s always nice to step off the trail, even if just for a night, grab a shower, a real meal and maybe even a cold beer! Back on the trail the next day, I quickly found out why there were so many wind turbines in the area — it was windy! The winds were gusting in the 50–60 mph range. I was literally blown off the trail a couple of times. It was crazy. I was averaging less than 2 mph battling these crazy winds. They finally died down enough for me to make some progress and soon crossed the 600-mile mark on the trail. I also noticed the scenery was starting to change. It was becoming more “mountain like” and less “desert like.” This was a sign of things to come! I was still treated to some wonderful wildflower displays along the way though, especially when traversing old burn areas. I continued north towards the next milestone, Kennedy Meadows. KM, at mile 702, is the gateway to the southern Sierra. Located about three days south of Mt. Whitney, Kennedy Meadows marks the end of the desert and the beginning of the mountains. There is a general store and campground, and almost everyone stops here for a while on their way north. Along the way, I stopped in the little town on Onyx to grab my last resupply before KM. Again, I found the hospitality to be outstanding. People went out of their way to be helpful, giving me rides, pointing out where to stay, where to eat, etc. Trail Magic at its best! Back on the trail, I was treated to a spectacular “Sierra Wave” sunset. I also came across a set of bear tracks on the trail — another indication I was nearing the mountains. Finally, I arrived at Kennedy Meadows — 51 days and 702 miles down. A good friend met me, and we enjoyed a great visit. Changes are ahead for the next installment. Due to snow and water conditions in the Sierra, I have made the decision to jump ahead to the state of Washington and head south. 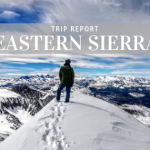 I will come back and tackle the Sierra once the conditions are more favorable. In the meantime, I will try and get Oregon out of the way and head into northern California. Local Truckee/Tahoe resident Nana Langton is thru-hiking the Pacific Crest Trail this year. Tahoe Mountain Sports is a proud sponsor of her efforts!